For over 30 years I have been interested in the history of the RMS Titanic. 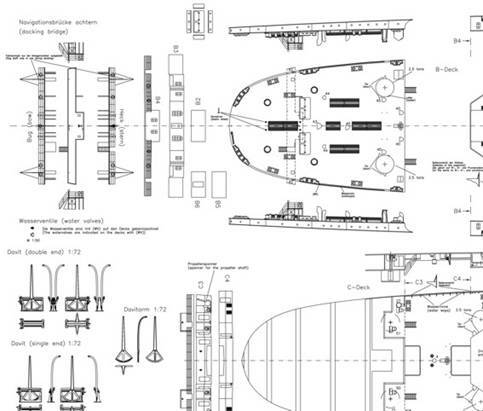 I have always had the desire to create a highly detailed plan of that fantastic vessel for modellers. 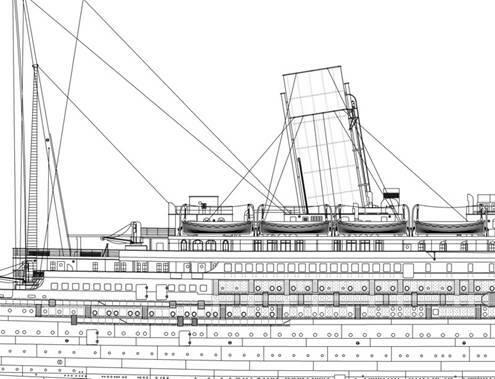 After many years of studying original plans, drawings and photos of Titanic and her sisters Olympic and Britannic in co-operation with the Titanic researcher Bruce Beveridge there has been an extensive plan created, with which any skilled modeller is capable of constructing his own model of the ill-fated liner Titanic and bringing her back to life. 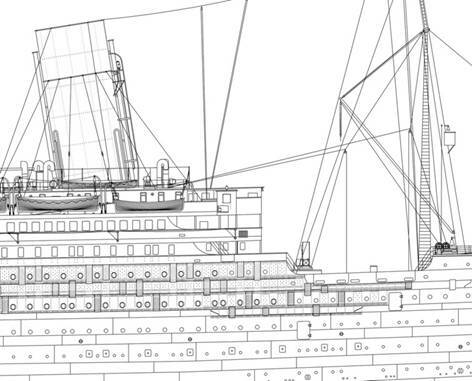 The following picture, taken from a section of the plan, shows the profile of this unique liner. shape of the models hull. 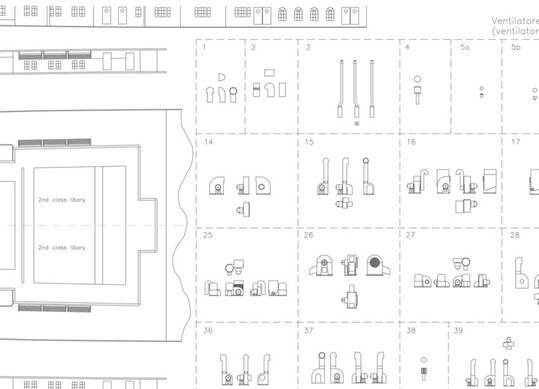 Every small detail (lamps, ladders, windows,...) were considered and represented in the plans correctly. 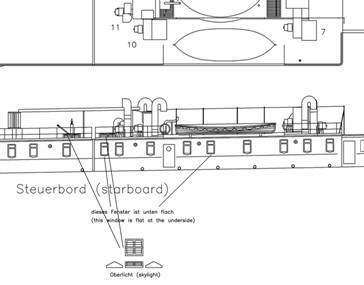 I have always paid attention to the few minor differences between Titanic, Olympic, and Britannic which was taken into consideration. 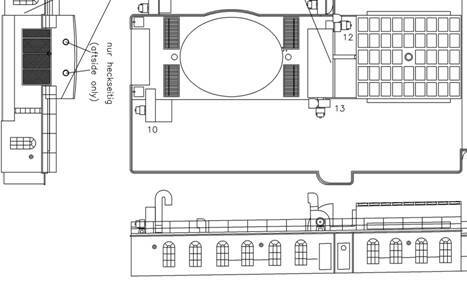 The plan has been drafted in a standard scale of 1:144. In that scale the length of the model will be 187 cm (6' 1.62"), at that size the model should be quite easy to handle and large enough to show all the small details you would want to add to it. For those, who are interested in letting their Titanic swim, the weight of the finished ship should be approximately 16-17 kg (35-38 lbs.) finished. I also offer the plans in the scales 1:192, 1:350 and 1:100. Other scales are possible, ask me. The scale 1:350 is for those who want to super detail their MINICRAFT Titanic kit. In this scale the frame set is not shown but the plan includes many important details in double size. You can decide between two different versions of the plan, which differ in their details. In the first Version "Lite" the single sheet portrays the side and the top of the vessel along with a front and rear-view. 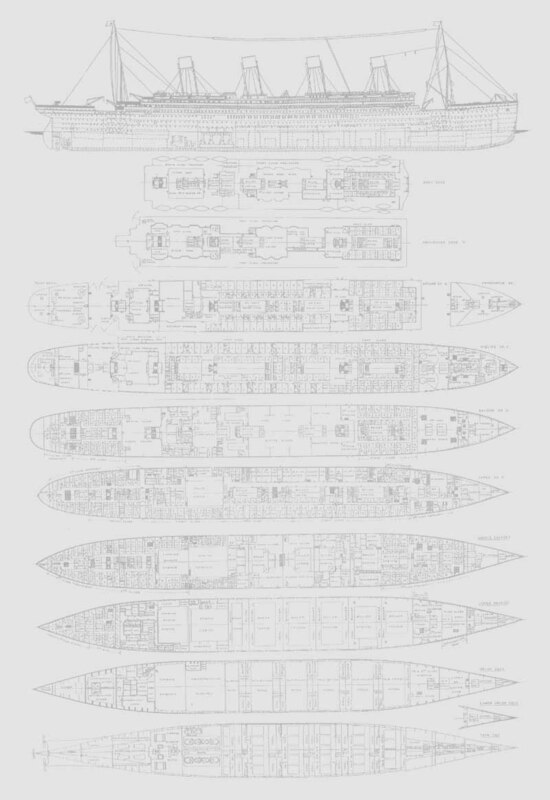 It is not feasible to build the Titanic solely with that version because it lacks any important views and many detailed views are missing making this a good set for use as a wall decoration. These missing views however and the very important frame are detailed in the 3 additional sheets of the "Standard" version. In that version you have all relevant deck views, all the details and the complete frame set. To get an impression of what is waiting for you, click on the version-buttons below. Please take into account that the quality of the pictures are not nearly as good as what the final plans will be because of printing them, scanning them, and image compression. The finished plans will be plotted out to maximise quality and satisfy heavy demands. 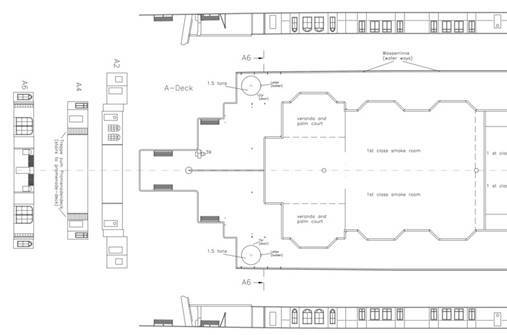 The plans at 1:144 have a finished size of 2.5 m x 0.9 m each, in 1:100 their size is 3.6 m x 0.9 m.
For all you English speaking folks, don't worry, the plans have explanation in both German and English.